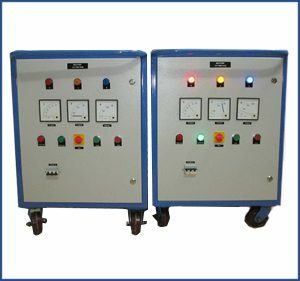 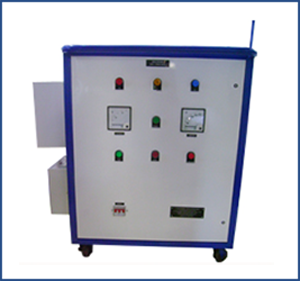 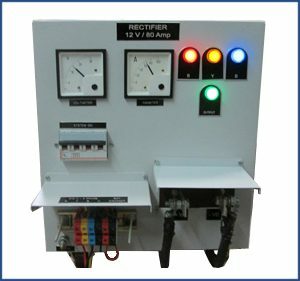 Cranker Rectifiers: Engine Testing Machines & Accessories, Vehicle Testing Machines, Automotive industry, Diesel Generators, Rectifier, DC Power supply, Electroplating, etc. 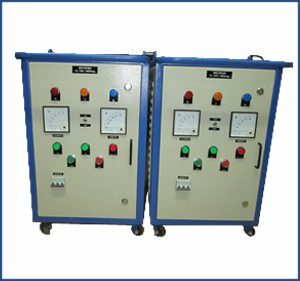 These are Heavy Duty Rectifiers used in Engine Testing applications. 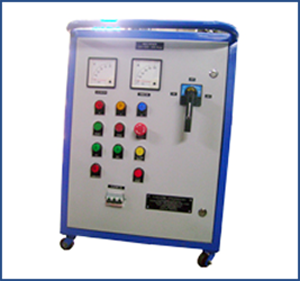 Normally an Engine (Diesel/Petrol) operate on Batteries in the vehicles. 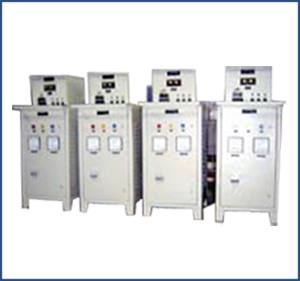 However, in Industry the Rectifiers are preferred for the ruggedness, durability, repeated operations, portability, a variety of voltages and currents, indications, measurements, safeties, etc. 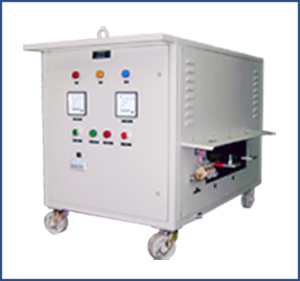 Input: 3 Phase, 415 V.
Output: 12 V or 24 V at 300 amps…….2000 Amps.